Our Fall hair obsession continues with our newest fave: Lobs. Yes, you read it right. Lobs..long bobs! They are the perfect haircut for the Fall. Allow us to give you some more details. The Lob hits at or around your collar bone area and generally has longer layers. The haircut works with any part, side or middle. We love it with the middle part, especially when the front hair is longer than the back. The Lob also makes your hair appear thicker, which, who doesn’t love that?! This is a look you have the chance to make all your own. 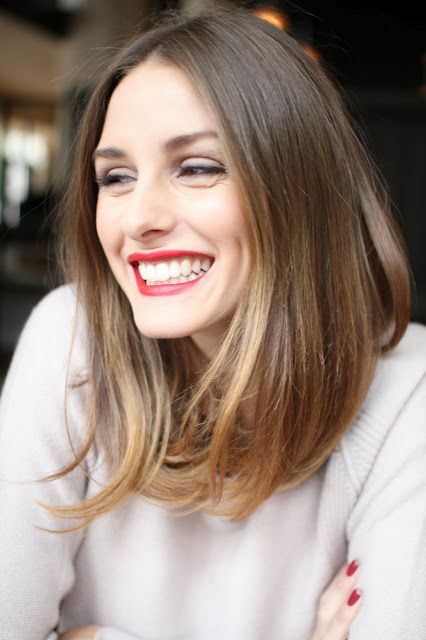 The Lob works with any face shape and the cut can be blunt or choppy. You have many options and opportunities for change with the Lob. It is very versatile! We love the Lob because it gives your hair a fresh start! With all of that blonde, sun and chlorine in your hair from the Summer, the Lob gives you the chance to cut off those damaged ends and have a fresh, new look. Also, it gives you time to grow it all back for next Summer! The Lob is lovely because it is super low maintenance! It is not a major commitment because you are not cutting your hair super short. You can still easily throw it up in a pony or bun if you are on the run! It doesn’t require tons of bobby pins or a daily blow out because it is not as short as the standard bob. Our favorite style of the Lob is messy, tousled waves. It looks great with any color hair, too. You can keep you ombre or complete our Fall look by getting a Lob with a Sombre! We are also loving the Lob with bangs! Whatever style you want to rock can typically work for the Lob, you can still have fun with it. Don’t be afraid of the shorter look! Throw some braids or twists in it, style it half up…the Lob is here for you and your new, fun Fall look! Whether you are looking to chop off all of your locks or for an updated cut to your mid-length hair, the Lob is where it’s at right now! We love all of the Fall looks, so call or book online today to get yours! Peace. Love. HAIR.